This annual event continues to be a success thanks to the enthusiastic participation from our alumni and students. Our fantastic Alumni are excited to come back to the School to meet and share their career experiences with our students. 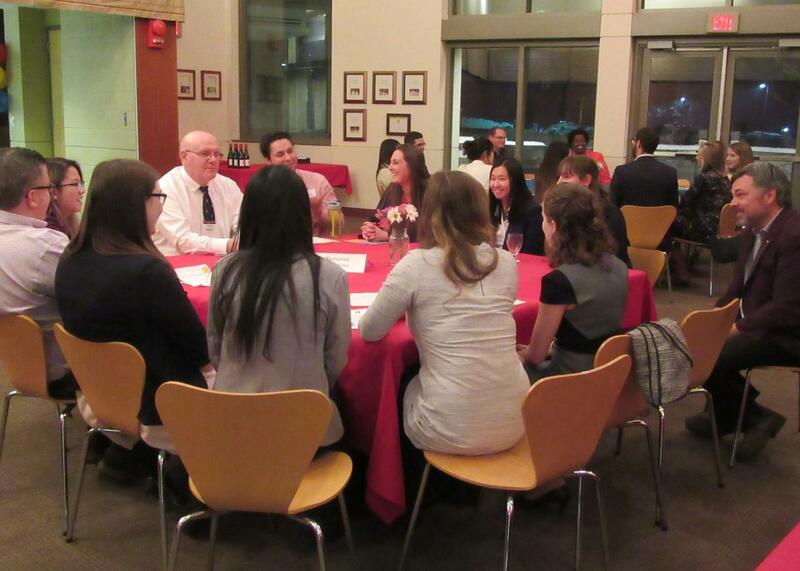 The format of the evening will include round table discussions between alumni and students with each table focusing on a specific career area of interest to students. There will be several rotating sessions to give students the opportunity to visit with different career areas. Each area will be held in various rooms within Macdonald Stewart Hall. Alumni will stay in designated rooms and students will rotate to their preferred field. Dress code is business or business/casual. We hope you are able to join us! 2019 Participating Alumni. At registration you will receive an information page with all the session groups/rooms. Students do not register prior to January 23rd. 5:00 - 6:00 p.m. Alumni dinner/debrief (PJ's Restaurant) The debrief will begin at 5:50 p.m.
We welcome all alumni! If you are aware of someone who would be interested in attending, please contact us. If you are not receiving any of our event notices, please visit Stay Connected to forward your new information/email. On behalf of the HAFA/HFTM Alumni Association, we look forward to seeing you in January. For more information, please contact: Patrick Cook, Alumni Advancement Manager (519) 824-4120, ext 56929.